The human kidney is a crucial detoxifying organ that performs a lot of functions including, absorption of minerals, filtration of blood and production of hormones and urine. It also helps your body to maintain a healthy pH level. Since kidney failure can prove to be fatal, it is essential to keep it healthy, to ensure smooth functioning of your system. Adequate intake of water: It is advised to drink a minimum of 8 glasses of water daily, to help your kidneys function properly. Adequate intake of water ensures that your body is able to flush out the harmful toxins at regular intervals. Control your blood pressure and blood sugar level: Diabetes is one of the major causes of kidney failure. It is important to control your blood sugar level on a regular basis to ensure healthy functioning of your kidney. People who have high level of blood sugar and blood pressure are more susceptible to suffer from kidney disorders. Quit tobacco: Accumulations of toxins in your body tend to have a harmful impact not only your kidneys, but also on your overall health. It is strictly recommended to quit smoking to protect your kidneys from damage. Reduce weight: Obesity and excessive body fat can harm you. Being overweight makes you more susceptible to kidney cancer. 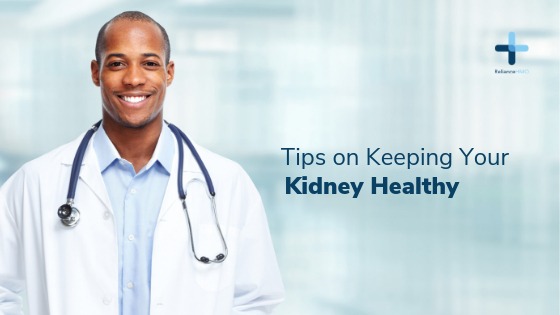 It is advisable to lose a few kilos to ensure the proper functioning of your kidneys. Avoid intake of analgesics without prescription: Most analgesics have the tendency to be harsh on your kidneys. Ingestion of analgesics increases your risk of developing kidney cancer. Non-steroidal anti-inflammatory drugs (NSAIDs) like aspirin, ibuprofen, naproxen and acetaminophen are some of the analgesics, which are known to affect your kidneys in the long term. Therefore, it is necessary to avoid taking them without consulting a doctor. Include healthy food in your diet: If you increase the intake of green vegetables in your diet, it will help your body to accelerate the process of detoxification. Fruits and vegetables including watermelon, cranberries, blueberries, strawberries, apples, cabbage, cauliflower, peppers, garlic and onions provide considerable aid in removing the toxins out of your system.